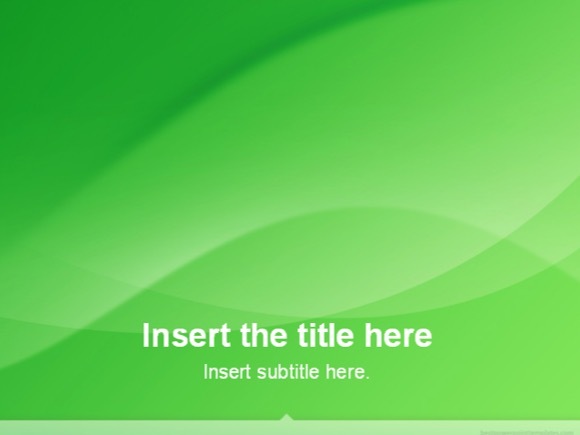 Abstract Green PowerPoint template - FREE! 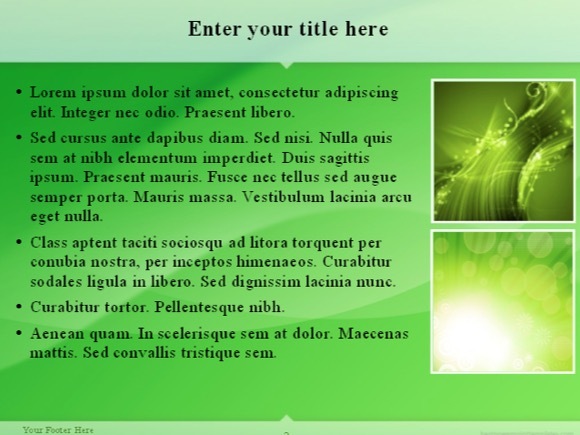 This is another amazing Abstract Green Powerpoint Template, which is great for presentations on ecology, conservation, green energy, alternative energy, and anything related to eco. 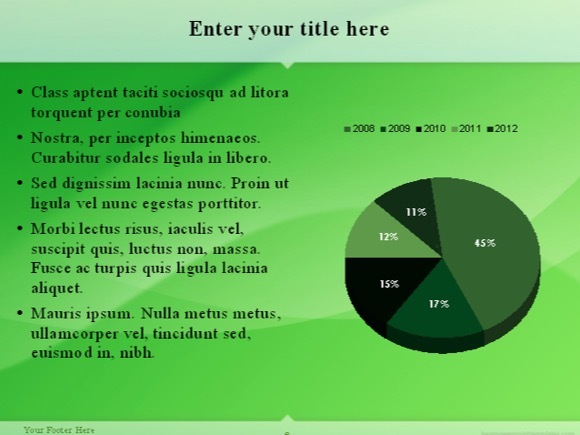 Dark green is masculine, conservative, and implies wealth whereas light green is more calming, refreshing and relaxing color. 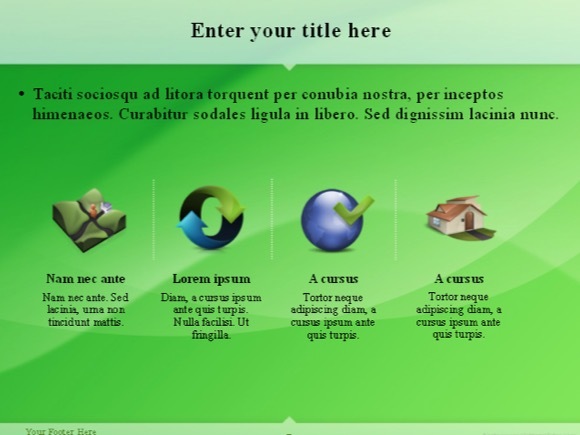 Just click “download now” button and enjoy your Green presentation. 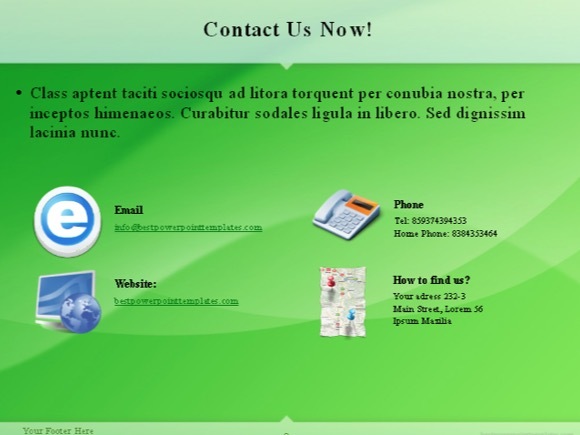 Do you still want more green? 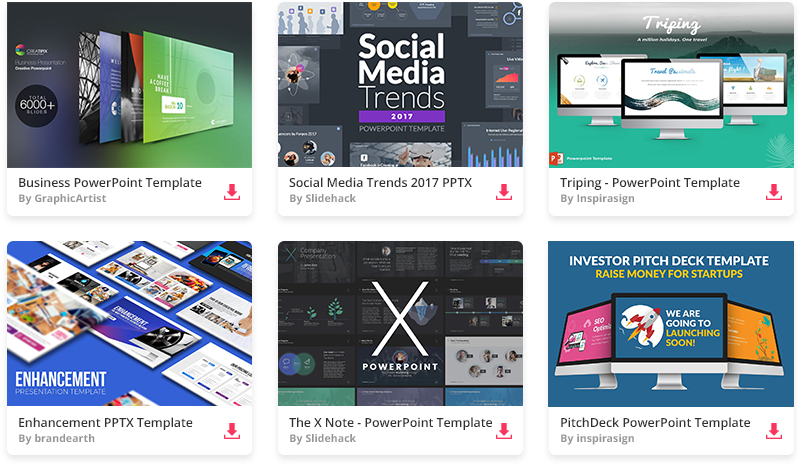 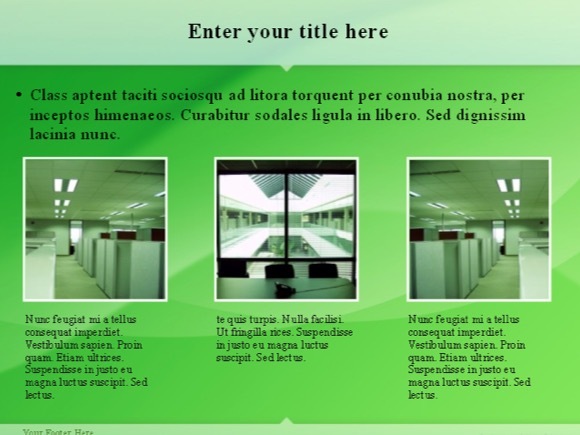 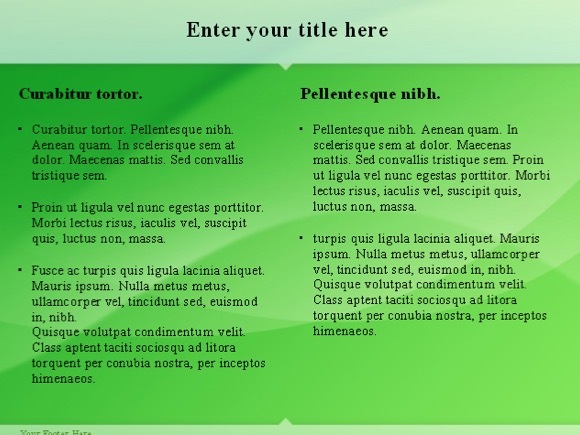 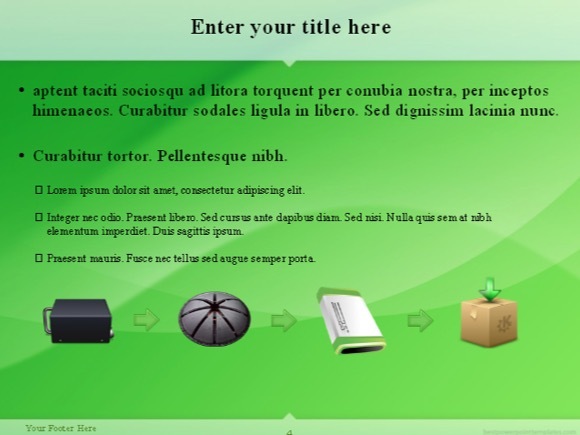 Check out our Green Powerpoint Templates!